We all know that for children entering a preschool/ childcare setting for the first time it can be daunting enough. Add to this the introduction of a completely new language, and often a new cultural situation and you can see why settling in is more difficult for these children. 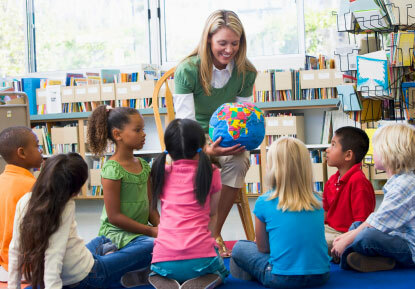 As parents from other cultures understandably value their child speaking their own language and aim for them to become bilingual it is often in preschool that children encounter English for the first time. It is important that we understand the value of bilingualism for the child, while supporting them to eventually use English on a daily basis in our services. You will see below that there are some great practical resources available which you can use with children in your services. The NCCA stress that the silent phase is not something to be overly concerned about, it is normal for children to take time to observe and listen in a completely new environment/ with a new language. It is vital at this time to provide reassurance and encouragement. If possible some use of the child’s first language is helpful at this stage. Including the child in activities with small groups of children and giving as many opportunities for child to child interaction is helpful. It is through these interactions and those with the teacher that the child will eventually learn language. At first this is seen with the use of single words and phrases, singing rhymes are also among the first use of English to be seen. It may take longer for the child to gain in confidence to use more complex English but with good support we eventually see this happening. Speak slowly and clearly. • Use pictures such as a picture-timetable to explain what is going to happen next. • Use gesture, pointing and objects to help the child understand. Encourage the children to do the same. • Identify words you use often and repeat them, for example, toilet, lunch, book and home. Have pictures of these items displayed low down so children can point to them. 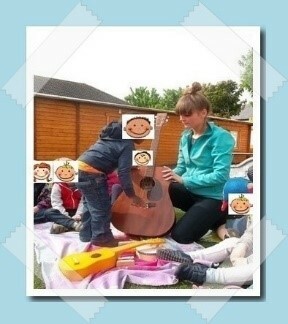 • Make short comments and name things that the child is interested in or is doing. • Give children extra time to respond as they will take longer to think of what to say. Finally, patience is required, it can take children up to two years to be able to have a conversation in English, and up to five until they are fully fluent (NCCA). Does your child speak more than one language at home? Some guides below to support the second language acquisition process. Suggestions of play activities to learn basic language, including learning to answer ‘what is your name’, describing family, body parts, food, days of the week. Using puppets, playing games to help interact & express themselves. NALDIC. Supporting bilingual children in the Early Years. We have to distinguish between anxiety and worry. All young children will experience worry, or the uh-oh feelings, as I like to call them. When young children are in a situation that is unfamiliar, they do not know what to expect, they cannot predict with certainty what might happen and perhaps Mam and Dad are not around (if I am at school, a party, a play-date, starting at crèche etc) my body and brain fire up to recognise this as being dangerous and my worry alarm is set off. When my worry alarm goes off, I get a sudden energy boost that is going to send me into either fight (stay around and work through it, or perhaps stay and act out behaviourally) or flight (run away and hide) mode. You see when our internal worry alarm goes off it’s like our brains flip our lids. This means that my cortex area (the more logical and rational part of my brain) is off line and I sink down into the back of my brain where it is very hard to think or act in a rational way. Our feelings need for protection and general survival instincts are all located in this more primitive part of my brain. But worry is a good (albeit unpleasant) experience. 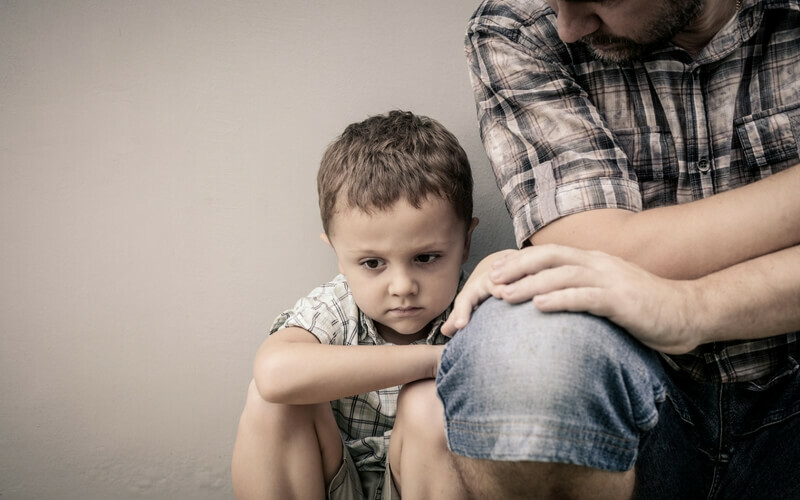 Worry is a form of protection and a little bit of worry can keep them safe by stopping young children from taking dangerous chances or touching things they shouldn’t. When you see your child’s worry alarm go off it is great if you can step in as quickly as possible. Respond to the feeling rather than the behaviour you are seeing. Sit facing them and gently take their hands in yours. Holding eye contact, simply take slow in/out breathes and ask them to do as you do, at your pace. This helps their nervous system move from fight/flight mode back to rest mode. Have them draw or write about the worry. What is the worst part of it and what would need to change to make it better? Have them draw/write this new scenario and focus on this. Tasks like this help to reengage the more logical and rational part of the brain. 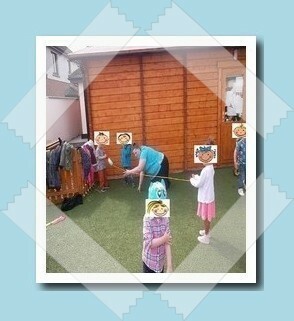 Re-direct them to a play activity with you. Play with them. Young children rarely say “I have something I would like to talk about” but they do ask, “Will you play with me” and in their language that is the same thing. They are asking if you will help them to process something. Joanna Fortune is a Clinical Psychotherapist specialising in child and adolescent Psychotherapy, with over 12 years experience working with children and families. She regularly writes in national media on parenting and family issues. 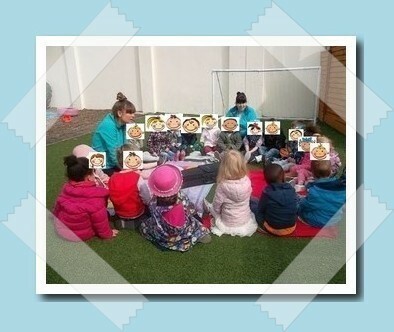 To date we have shared the experience of Early Days Montessori and Hillhouse Preschool. Our outdoor day was enjoyable for both children and educators. We are making provision for outdoor play each day and it is evident in our setting. We value the play (indoor and outdoor) as it has benefits to children’s health, social, emotional and physical development. The equipment in our back garden is relayed with children’s interest. On the day we carried our routine as always; we brought indoor outside. We carried the circle time in the garden and as they were investigating musical instruments the fresh air and the space allowed us to experience different tones and vibes created by guitar, violin, xylophone and many, many more musical instruments. Some of us enjoyed obstacle course as the space allowed us to use tunnels, two spring games, using balancing stilts, throwing balls into the designated container. We all felt that it was beneficial as we tried to be team players and cooperate with each other. Our younger friends enjoyed hopscotch, mark-making with chalk and sensory play with water, spaghetti and leaves. Educators provided activities based on children’s interests and on what could be beneficial to stimulate in natural environment. 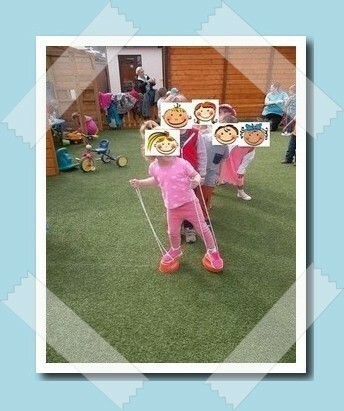 We feel that that the children gained skills such as co-ordination, balance, confidence and self-esteem. We noticed that the outdoor experience also allowed the children to express themselves freely, without the limitations of indoor space and “indoor rules”. As a general feedback we can say that outdoor learning has a positive impact on children’s well-being, they are more relaxed and keen to explore world around them.